Have you ever walked into a room, down an alley and had an immediate chill accompanied by a suspicion you aren’t alone? There will always be believers and non-believers, but whether you believe or don’t believe there are ghost stories galore about Tampa Bay. Some stories are entertaining while others send creepy chills up and down your spine, but a majority of those stories return to the roots and beginnings of Tampa. This week, in the spirit of Halloween, I decided to do some research about these ghosts that are said to haunt Tampa. I started off my ghost hunting venture to meet “The Doctor” a ghost that haunts The Refinery, a local farm-to-table restaurant in Seminole Heights. I sat down with Chef Greg Baker, wife Michelle, Chef Eric and some of the staff at the Refinery who all have encountered this ghost they named “The Doctor”. So, why did they name their ghost “The Doctor”? Before I answer that… let’s start with the location. 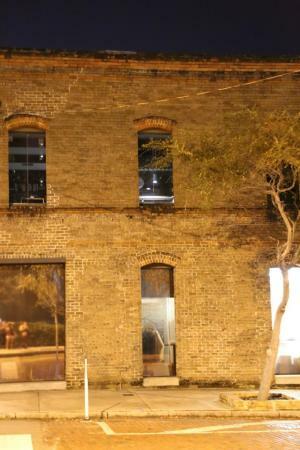 The Refinery is located in historic Seminole Heights off of Florida Avenue. 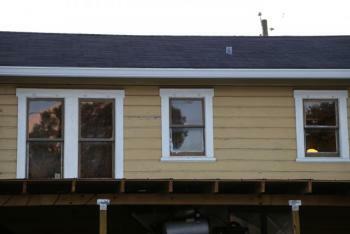 The restaurant site is an old carriage house that neighbors a bungalow. Due to a fire in the records department there are no real dates or proof of the origins of the house, but one thing is for sure, there is someone there who refuses to leave. The first sightings of The Doctor are from outside in the parking lot looking up in the middle Refinery window (see photo above). Michelle told me a story how she remembers when they first took over the restaurant and they spent the day painting and renovating getting the restaurant ready for opening. She remembers seeing a guy in the upstairs window after closing up and asking Greg why Eddie, an employee was upstairs and to get downstairs. As soon as the words left her mouth, Eddie walked out the side door and when she looked back up to the window, the image disappeared. They went back inside and no one else was there. Greg and other employees have all seen this image in the window and Greg has even seen someone peeking through the blinds while standing outside looking into an empty restaurant. Have chills yet? The stories get better. So, let’s get back to the naming of The Doctor. 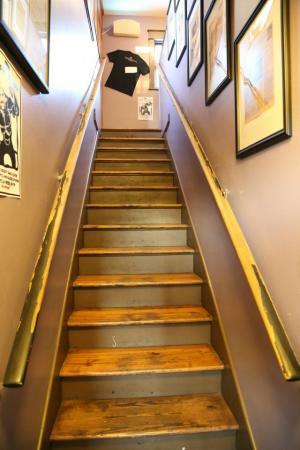 After all the ghost sightings and hearing mysterious footsteps pacing back and forth the upstairs wood floors they decided that there was in fact a ghost. They met as a team and discussed naming the ghost, The Doctor. They had no idea who this ghost was. Not sure if it was a female or a male and what kind of background this ghost came from they didn’t want to anger or disrespect the ghost by calling it a “she” if it was a male, vice versa. They settled respectively on The Doctor. If he/she was not a doctor, maybe it would make him/her happy to think someone was calling him/her by such a prestigious title. Since the naming of the ghost, two employees have seen the full image of the ghost. LB, a long-time employee at the Refinery told me the story how he came in to the restaurant as a skeptic of The Doctor. He didn’t believe in ghosts nor did he think he would ever see one. Late one night when he was cleaning and closing up the kitchen in the restaurant he went upstairs and remembers hearing someone in the stairway downstairs. Shucks, he thought, he had locked all the doors, but not thinking twice assuming that a customer somehow came inside, he looked down the stairs to tell the person they were closed for the night. He remembers seeing a tall man standing in the stairway, wearing a 1920’s style suit and skinny tie with a fedora. He told the man the dining room was closed and when he blinked the man disappeared. He checked all the doors, everything was locked. He is now a believer of The Doctor. Other stories include pans being pushed off shelves in the kitchen, chairs moving, mysterious footsteps and even brooms being moved or hidden in closets. There is also a certain respect for The Doctor. When going through renovations at the restaurant they left the plans out every night for weeks because The Doctor was never a fan of changes. They also have a tradition that every night’s closing. When employees leave, as soon as they hit the last step out the door they say “goodnight Doctor”. One of my favorite stories of the night was about The Doctor and how he hated a PBR sign inside the restaurant. The Refinery used to have a PBR sign that was in the upstairs bar area window by the AC unit. Every morning, whoever opened the restaurant that morning would find the PBR sign on the floor. No matter how many times they would make sure the sign was bolted in, every morning they returned it would be knocked off on the floor. Clearly, The Doctor was not a fan of the PBR sign and one morning they arrived to the restaurant to find the sign on the floor broken in pieces. That was the last time they put a PBR sign in the window. The stories continue… Think it’s a bunch of bologna? I suggest dining at The Refinery and asking the staff yourself about their experiences with The Doctor. They love talking about him and they have great stories. That night walking out, we were sure to continue the tradition by saying “goodnight Doctor”. Thank you for letting us dine with you! After our haunting experience at the Refinery, we decided to check out the Ghost Tour of Tampa, that happens every day during the week at night. The tour started promptly at 8 p.m. and Elise and I were excited to join up with the group, camera in hand hoping to catch some orbs in our photos. I have to admit this tour was fantastic! 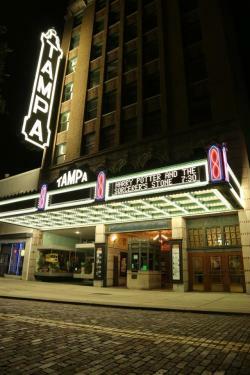 The tour starts with the historical Tampa Theatre, visitors can easily find the theatre downtown by looking for the giant TAMPA marquee. Home to one of only forty places in the world that still has its original Mighty Wurlitzer this organ rises up from below the stage during performances and is a must-see in Tampa. There we heard the story of the Tampa Theatre’s most famous ghost, Fink Finley, who’s real name was actually Foster. Foster came to work in Tampa in the 1930. This man had pride and was the kind of employee who showed up extra early and loved his job. In December of 1965 during a theatre showing Santa Claus Conquers the Martians Foster collapsed having a sudden heart attack in the booth. The tour guide told us many employees of the Tampa Theatre, especially the ones serving as a projectionist in the booth felt his presence. The one employee who had the clearest sighting, Tara Schroeder, a long time employee of the Tampa Theatre. Late one night alone at the theatre, she saw a man wearing a black suit, white shirt and a black tie standing by the stage inside the theatre. She yelled at him to leave, but then he disappeared. The guide will tell you many more stories, I don’t want to spoil all of them for you! Next on the tour we made our way to Curtis Hixon Park, downtown Tampa’s waterfront park. We learned stories about Henry B. 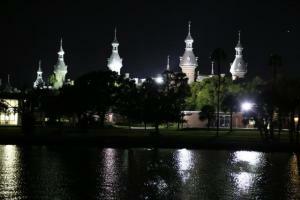 Plant and the original Tampa Bay Hotel, that now is known as University of Tampa. We also heard about a lady in red, Bessie, who haunts the Falk Theatre. We then ventured to the Fort Brooke area and then finished with a story of a Russian salesman known as Franklin, who sold illegal tonics to men and women. As you can imagine a lady named Irene died there due to Franklin’s deadly tonics and she is said to appear in the window as she gazes over Whiting street before vanishing into the darkness. Many have captured this moment in photographs. Reservations are required so be sure to call 727-398-5200. 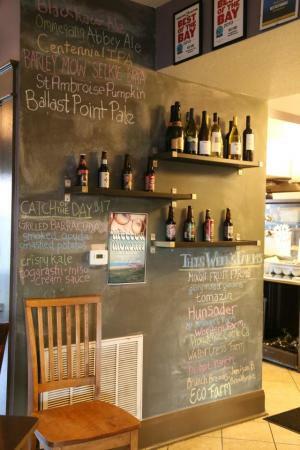 Get out there unlock and explore the mysteries of Tampa Bay!